We offer two adult classes. The Gleaners meet in the Reception Hall on the second floor, just outside the sanctuary to the right. This class is our longest-running classes at FCC and was formerly known as the “Loyal Partners” Class. It features those who are retirement-age or “wish they were” and is taught by a rotation of teachers including Peggy Momsen and Rev. Gary Weeks . They study various topics but lessons focus on lessons drawn from scripture and features class discussion. Our other adult class meets on the first floor of the Education Wing and is currently studying the “Wired Word” and is led by LaMoyne Hardin. Both classes feature a discussion-style atmosphere. Children ages 4 years through 6th grade! Join us on Sunday mornings from 9:30-10:15 a.m. for music and Sunday School. Children meet in the Fellowship Hall on the 1st Floor of the education wing and then break into age-appropriate classes to learn do hands on learning about the day’s Bible story that will be shared in worship and kid’s worship. Our Sunday School teacher for our youngest class (4 years and kindergarten) is led by a rotation of teachers and organized by our children’s minister Natalie Hardin or call 282-4080. 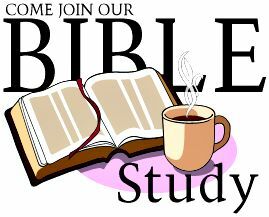 The Youth Group (grades 7-12th) meets each Sunday morning for Breakfast and Bible Study in the Youth Room on the 3rd Floor of the Education Wing from 9:30 to 10:15 a.m on Sundays. They discuss topics relevant to their teenage lives and apply Biblical principles. Teachers for this class is youth leader Staci Carey.